Following a years worth of hard work and a two stage formal assessment process, Luci and Hayley’s dedication delivered a fantastic ending to our 2018 with this world renowned accreditation from BSI. This accreditation is a means to help us continually monitor and manage quality across Creative Medical Research whilst identifying areas for improvement. increase business efficiency and enhance performance. Seeking the certification allows us to demonstrate the quality of what we do and ensure we continue to deliver best practice throughout the agency. 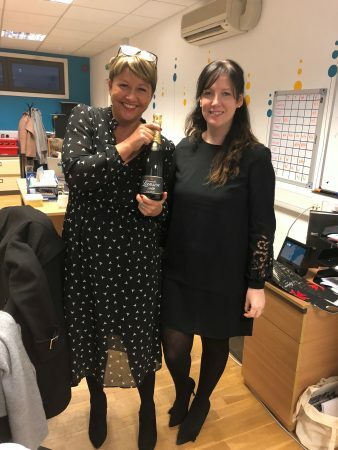 As we move in to 2019 we’re taking the opportunity to celebrate a great achievement amongst the team and in particular Luci and Hayley’s incredible efforts and ensure that as a trusted supplier to so many of the top medical device manufacturers that we are demonstrating our commitment to quality products and service and achieving excellence without compromise.